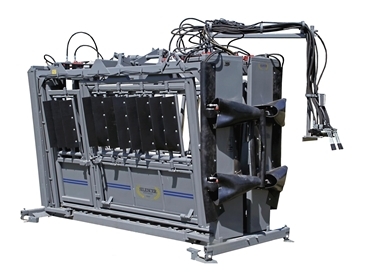 The Catagra Group presents the silencer hydraulic cattle chutes, which are now available in Australia. Silencers are used to properly handle cattle for processing and pregnancy testing on properties, feedlots and ranches. There are over 4,000 silencers in use around the world. The Catagra Group silencer hydraulic chutes allow for quicker and smoother processing and pregnancy testing in cattle. For more information, contact Catagra Group or visit their website.